Singaporean architects have really embraced the power of nature in their designs. 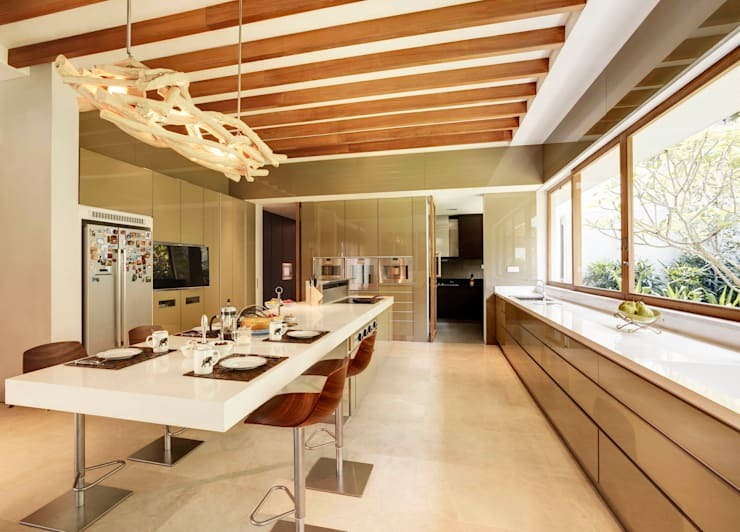 This modern kitchen has all the warmth of natural materials and colours with a contemporary gloss. Just check out the driftwood lighting feature! This stunning interior comes to us courtesy of Singaporean interior designer Design Intervention. 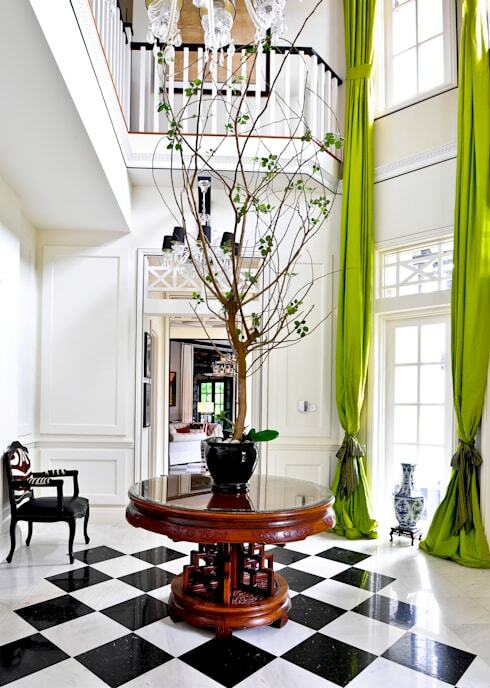 The incredibly long apple green drapes and small tree draw attention to the vast height of this glossy entrance. 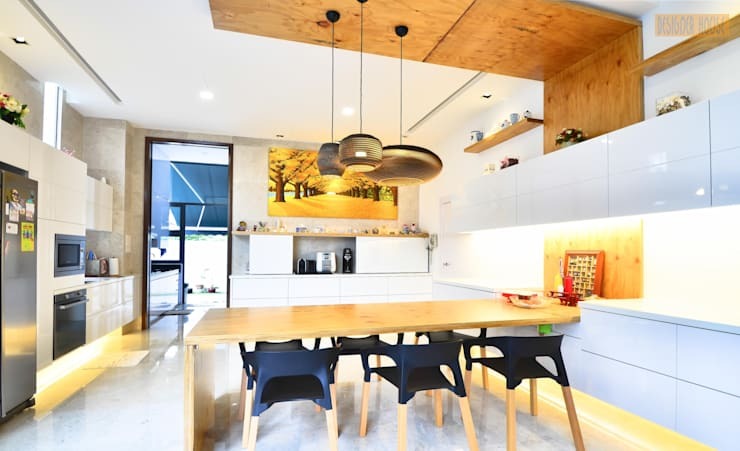 Vivacious patterns and adventurous choices give this Singaporean home a vivacious sense of life. It all comes down to the adventurous black and white striped walls, boldly contrasting floral rug and huge feature light. This kitchen may not have any outlandish features, but it's still stunning. The wooden feature panel on the ceiling really draws the eye upwards and gives this interior a luxurious lift. Natural textures and forms have been polished and elevated to a whole other sphere in this unique Singaporean interior. The pendant lights are glass blown and the huge feature wall is made from woven materials. 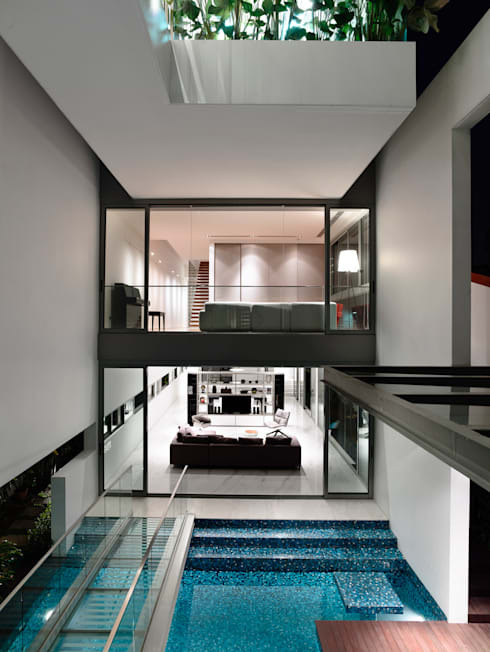 Welcome to 'Bridge over Water', a luxurious Singaporean home created by Hyla Architects. 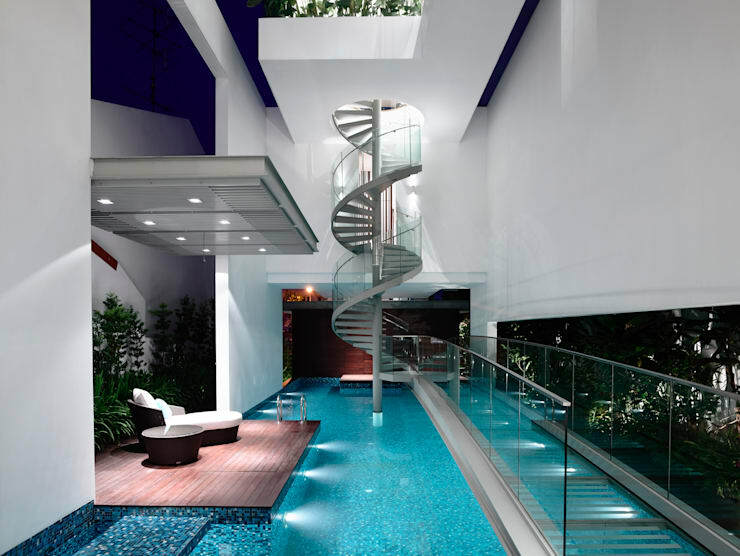 This large internal pool is the entrance to the home and the glass spiral staircase leads one up into the living areas. 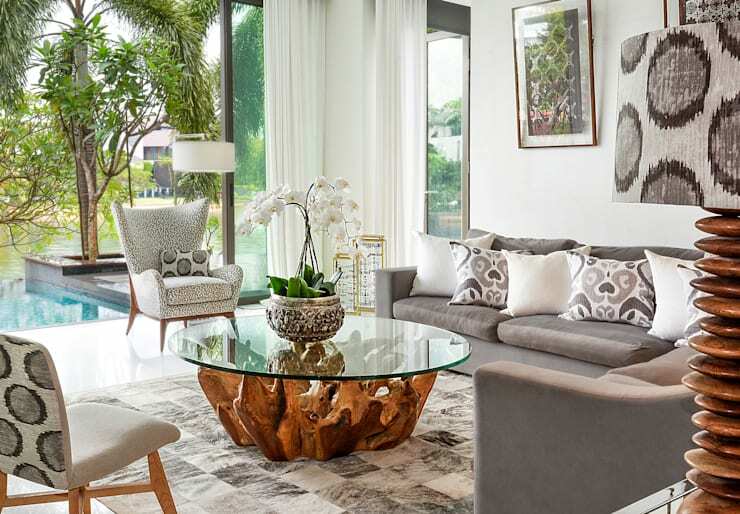 This luxurious living room really epitomises Singapore's unique combination of tropical style and high-end sophistication. This utterly sophisticated living room leads right to the edge of a drop pool. Let's spoil ourselves with another view of the Bridge over Water. This time, we have a view of the ground floor, the entrance to the pool and the atrium that leads to the upper level. This opening gives us glimpses of natural light amid a tumble of greenery. Luxury homes are now more affordable than ever, just check out the potential of high-end modular housing with this project: A luxurious prefab home in the woods. Which of these stunning Singaporean interiors is your favourite? Don't hesitate to nominate one in the comments field below!